Glenn Wheatley’s 40 year career in the entertainment industry is centred around contemporary music. His business interests have expanded to encompass sport, film, television, radio, mobile and internet. Born in Brisbane in 1948, Glenn’s career commenced as the bass player for the Masters Apprentices, a band that had many top ten hits in Australia during the late 60s and early 70s. This ultimately lead to roles in personal management, music publishing and recording, event management and promotion. Among the artists managed at the time were the New Seekers, who were achieving major international success. In 1973, Glenn moved to Los Angeles and in the subsequent two years his experience included co-ordinating three concerts for the 1973 Presidential Inaugural celebrations at the JFK Centre in Washington D.C. for President Nixon, and co-ordination of the Michael Jackson program at the 45th Academy Awards. Glenn has played a pivotal role in the Australian contemporary music business, managing and promoting Australian artists locally and overseas including John Farnham, Australian Crawl, Ross Wilson, Pseudo Echo and Delta Goodrem. In 1986, his record label Wheatley Records produced Farnham’s album Whispering Jack, which remains Australia’s biggest selling album by a local artist. Delta Goodrem’s debut album Innocent Eyes is Australia’s second highest selling album by an Australian artist giving Glenn the honour of having produced the two highest selling Australian albums. 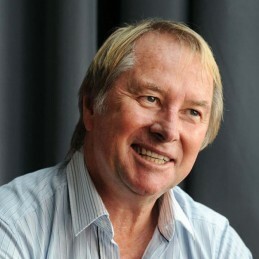 In 1990 he amalgamated his sporting division, Wheatley Sport, with Advantage International and built up a superlative talent base including golfers Ian Baker-Finch and Wayne Grady, tennis players John Alexander, John Fitzgerald and John Frawley, cricketer Simon O’Donnell, racing legend Peter Brock and footballer Paul Salmon. He has been a recipient of the Advance Australia Award for Outstanding Contribution in the Entertainment Industry and the Business Review Weekly Australia’s Business Award for Marketing. He has been a director and part owner of the Sydney Swans Football Club and a Board member of AUSMUSIC, Tourism Task Force, the AIDS Trust of Australia and a Council Member for Screensound Australia (formally the National Sound and Film Archive). In 1999 Glenn was inducted into the ARIA Hall of Fame (Masters Apprentices) and in the same year published his long-awaited autobiography Paper Paradise: Confessions of a Rock ‘n’ Roll Survivor. He was honoured in 2003 with a Lifetime Achievement Award for Services to Music Management by the Australian Music Managers’ Forum. Talentworks, founded in 1996, allows him to focus his expertise on artist management, music recording and publishing, tour promotion and event management. HTalentworks has also been a partner and co-promoter of the Melbourne International Music and Blues Festival, the Point Nepean Music Experience and the East Coast Blues and Roots Festival at Byron Bay. Glenn is currently an Ambassador to the Armed Forces Advisory committee on Entertainment for the Australian troops.